Three generations of the Wolfsohn family. 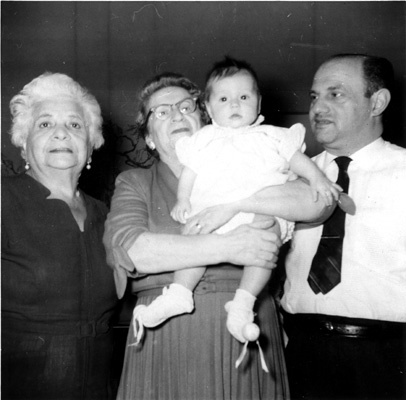 Left to right: Unknown (possibly Siegmund's mother-in-law), Sylvia Wolfsohn (Siegmund's mother), Siegmund's daughter, Pamela Soesbee, and Siegmund. The photo was taken in March 1959.